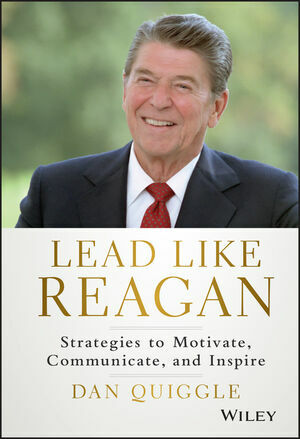 Lead Like Reagan is a guide to more effective leadership, inspired by the Great Communicator himself. Drawing upon his time serving Ronald Reagan, author Dan Quiggle relates lessons learned first-hand from his front row seat to history. Using Reagan and other prominent business leaders as examples, Quiggle illustrates what leadership looks like at the highest levels, why such leadership is effective, and how it can be successfully emulated. Readers will learn strategies to motivate, communicate, and inspire, forming a unique leadership template with personal application. DAN QUIGGLE is the Founder of the Quiggle Group, President and CEO of America’s Choice Title Company, and Dean of Faculty for the Leadership Institute in Washington, D.C. He began his professional career in The Office of Ronald Reagan and learned leadership directly from the “Great Communicator” himself. Dan has been recognized as a top speaker nationally for Vistage and YPO and is a highly sought after keynote speaker on leadership for America’s top associations and corporations.